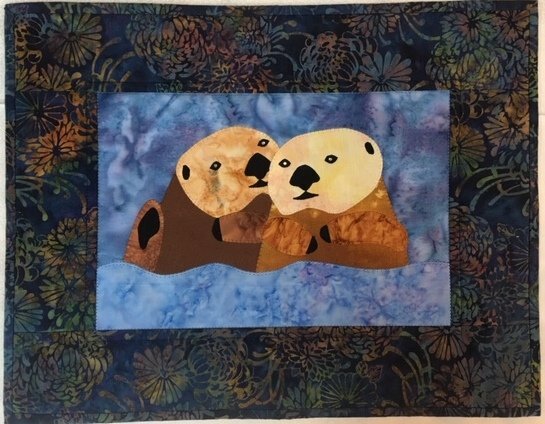 Sample for Sale: Otters wall hanging, created with 100% cotton batik fabrics on front / 100% cotton print on back, with sleeve for ease in hanging. Rhinestone eyes. Measures 18" x 14"